Mumbai/New Delhi: Locked in a legal battle with RBI over promoter stake dilution issue, Kotak Mahindra Bank has alleged the regulator is “unfairly” creating an impression that the lender was trying to further promoter Uday Kotak’s interest. RBI had asked the bank to cut promoter shareholding to 20 per cent of paid up capital by December 31, 2018, and 15 per cent by March 31, 2020. 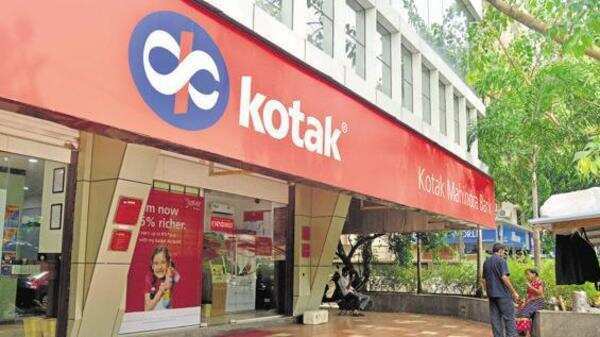 As on December 31, 2018, Uday Kotak, the bank’s vice chairman and managing director, held 29.72 per cent stake in the bank. The lender in August 2018 had proposed perpetual non-cumulative preference shares (PNCPS) to cut promoter holding to 19.70 per cent, which the RBI rejected. The bank has challenged RBI’s contention in the Bombay High Court, which is hearing the matter. The RBI’s bank licensing rules mandate that a private bank’s promoter will need to pare holding to 40 per cent within three years, 20 per cent within 10 years and to 15 per cent within 15 years. The RBI has told the Bombay High Court that the bank has petitioned the court, and not the promoters whose shareholding the central bank has asked to be lowered. The RBI’s decisions seek to regulate the shareholding rights of bank’s promoters, the central bank said. “They (the promoters) have no issue with holding being regulated in the manner provided for by the RBI,” the banking regulator had told the Bombay High Court in response to Kotak Mahindra Bank’s petition challenging RBI’s direction to trim promoter shareholding. In response, Kotak Mahindra Bank has said in an affidavit filed with the court that if that were the case, “the RBI then cannot take any action against the petitioner (the bank) in relation to these matters (i.e. reduction of promoter shareholding)”. The bank also said that in such a case, the regulator’s series of correspondence over several years with the bank, and not the promoter, becomes questionable. “The RBI has wrongly addressed correspondence to the petitioner (the bank) over the years, wherein it has also threatened regulatory action,” the bank said. If the RBI’s stand that such matters related to or affect the bank’s promoters, then the RBI would have “no basis to initiate any action against the bank” for not paring promoter shareholding. Moreover, the bank told the court that RBI’s view “runs contrary to its own allegation that failure to reduce promoter shareholding would result in the bank being serious breach of law”. The RBI has attempted to “unfairly allege” that the bank needs to be more independent and not reflect the interest of just one individual or family is “mischievous, incorrect, ignores the high standards of governance of the bank,” it added. The bank denied the allegations and what it termed as “insinuations” and said that “it also belittles the impact of the RBI’s unreasonable and arbitrary position” on the bank, its shareholders, depositors and public at large. The bank said reducing promoter shareholding would require to raise a “huge amount of capital not warranted for its business and growth which would be detrimental to all stake holders including the non-promoter shareholders and disruptive to the banking system”. Any suggestion that the petition “is a device to benefit any vested interests is baseless, misconceived and devoid of any merit”.